*Please note that my posts have affiliate links. At no additional cost to you, I may earn a small commission if you make a purchase. Put your pain au chocolat or Lucky Charms aside, here comes Finnish breakfast! What are Finns eating at breakfast? The most significant difference between Finnish and many other breakfasts is that Finns rarely eat anything especially sweet, like pastries or sugar cereals, in the morning time. I am a legitimate brekkie junkie and thus guiding you through the Finnish preferences. Let’s go! As Finns are the biggest consumers of coffee in the world, it doesn’t come as a surprise that many of us start our day with a cup of joe. Most likely it is filter coffee, enjoyed black or with milk. Some add also sugar. Finns have a taste for a particular, soft, round-flavored coffee and that’s why we so often complain (by ourselves, never in public) about lousy coffee when abroad. Children usually have milk or hot chocolate in the morning time. Porridge has been the backbone of Finnish breakfast since, well, forever. Finnish oatmeal is delicious. Finnish porridge can be made with milk or water, and both versions are tasty. The key is to use the stove, not the microwave to get the perfect structure and soft flavor. Though it sounds a bit boring, I recommend trying porridge when visiting Finland. At least I can taste the difference. Just add a spoonful of jam, fresh berries or a slice of butter with sugar on top and enjoy. Another classic is rye bread. At breakfast, Finns make rye sandwiches which include butter, cheese and a slice of cold cut. Vegetables are not mandatory, but usually, we throw a couple of pieces of tomato or cucumber to make us feel we are eating a well-balanced meal.One morning favorite is a Karelian pie. This traditional pastry has rye crust and thick rice porridge inside. I know it sounds weird, but it is a mouth-watering savory treat. It is the most common snack in Finland, sold round-the-clock in shops and gas stations. Both adults and children love it. You can eat a Karelian pie as it is or with toppings. The most common topping is egg-butter mash, but you can find gourmet level Karelian pies with smoked salmon or reindeer in cafés. Breakfast is not a serious institution for Finns. In cities, breakfast and brunch trends (e.g., shakshouka & turmeric latte) are visible. Brekkie meetings have become a norm in business and between friends. In the countryside, breakfasts tend to be more traditional and always eaten at home. 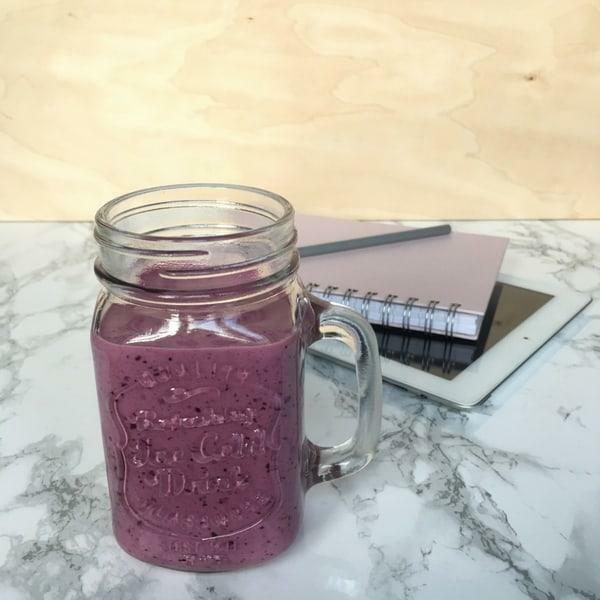 Young, busy people opt for a smoothie with Finnish berries, quark or natural yogurt, seasoned with flax seeds and other nutritious little things. I would say that we Finns are health conscious, thanks to media and professionals who keep this topic in the limelight. Most of us know that eating breakfast is a scientifically proven part of a healthy lifestyle. However, it is not uncommon that some of us skip breakfast completely. Taking care of the nutrition of children has always been a huge priority in Finnish society. That’s why Finnish kindergarten offers breakfast to all attending children. As a bonus, this practice helps the weekday morning chaos of families all around Finland. Do you always take the same things at a hotel breakfast? Try something new when you are in Finland: eat your hotel breakfast like a local! This is such a fun activity with your goofy sweetie or kids. Prepare one dish for everybody to taste (because you don’t want any extra left-overs) and get ready to discover some new flavors! A mini Karelian pie with mashed butter&egg. Local bread (rye bread if you want to be super Finnish!!) with savory toppings: butter, cold cuts, cheese and veggies. Porridge with a little scoop of butter, sugar sprinkled on top. Let the butter melt in the middle. Voila! The table is served with very traditional Finnish favorites. The lovely breakfast of Sokos Hotel Vaakuna in Hämeenlinna, which is a cozy city & castle destination one hour away from Helsinki. Dear reader, what is your favorite breakfast food and why? Let me know in the comment box! Did you find this post informative? Pin it for later on Pinterest! Can FInnish oats be purchased online? Hei Anne! This is a great question. I think there’s at least one Finnish online store which has oats and to my understanding ship to Illinois. Here is the link: https://www.suomikauppa.fi/index.php?language=en I’d love to know how it goes if you order so I can help my other readers! Hei Varpu, I enjoyed eating Finnish breakfasts while staying In Turku last summer, I have allergies to all bread except rye which I thought was weird till we found out we had Finnish heritage maybe that’s why and I’ve always loved porridge too,so I made the most of it every morning while staying. You gotta try porridge, with cream, cooked overnight in a slow-cooker (“crockpot”) on low. Perfection! (I usually make Karelian stew in the slow-cooker, coating the meat in flour, quickly fry in oil, then add the rest of the stuff). Bit non-traditional, but good. Actually the slow-cooker lives in the cupboard in warmer months, but is always in the kitchen, used most days in winter. Andy, your recipes sounds super tasty! I’ll definitely try, kiitos! Leftover oatmeal makes for great dough supplement when making bread rolls. BTW, if you want really nice rolled oats, try Strömsberg mill in Kerkkoo (Porvoo region), if you happen to pass it by (they don’t have any online shop or such). It is a noice little place and has been in business since 1545, making it the second oldest (!) active mill in Finland. While writing this I am eating my late evening porridge, made from those soft, beautifully flavourful, flaky rolled oats with some raisins, almonds, honey, unsweetened cocoa mass and banana added. Not very traditional, I know, but the taste and fill-me-up factor are on a different level. Hei! Wow, I have to try those oats in Kerkkoo. Thank you for the tip! Your porridge sounds super delicious! If we ever had leftover oatmeal, the next morning my mom would shape it in patties and fry them in a cast iron frying pan, in butter of course, until they were quite crispy outside and still creamy inside. Wait a minute or two to let them cool and sprinkle a little sugar on. Deeeeeeeeeeeeelish! I’ve never tried these but they sound super delicious indeed! I’ll try them for sure, thanks for a great tip! Our grandson and girlfriend are coming and thought it would be fun to serve something Finnish. Will definitely use one of the recipes I found on the site. Hei Pat! Oh, I’m so happy that you liked my recipes! I plan on posting more delicious Finnish dishes! My maternal side of Finns always made oatmeal with salt. Maybe their beginnings only had salt, but we like to use it only, & perhaps a taste of butter. If you use half and half on it, it holds you down for a longer time. Milk is good in it too, or use both. Nowadays sea salt is the salt to use. Did you ever try it this way? Hi Linda! Wow, what an amazing log cabin! Yes, most Finns cook their oatmeal so that they add a bit of salt to it. It somehow makes the taste richer. My favorite as a kid: oatmeal with a teaspoon of butter melting in the middle, sugar sprinkled on top and a dash of milk. 😀 Yummy! Old fashion oatmeal with our own maple syrup. Oh Elise, this sounds so delicious! Your own maple syrup! Notice this is an old post but I just needed to say it all sounds wonderful to me. We enjoy a couple of different breakfasts at this house. Oatmeal (aka porridge), the coarse kind made with less liquid than called for in recipe. I make a big batch and reheat when needed. Add a tablespoon of coconut oil and 2 big scoops of dried cranberries or golden raisins. Top with cream and toasted, slivered almonds. Yum! The other is a cheese omelet with whole grain bread or pita, sweet potato hash and guacomole. It doesn’t get any better. Hello June! Wow, your porridge and omelet recipes sound mouth-watering. Thank you for sharing them! I’ll sure test them! I love this post (and your beautiful plates and cups collection). I like porridge too but only when I’m having a lazy morning. Lazy mornings usually consist of porridge and / or peanut butter/chocolate and berry, and of course coffee. Alternatives are bagels and some veggies.